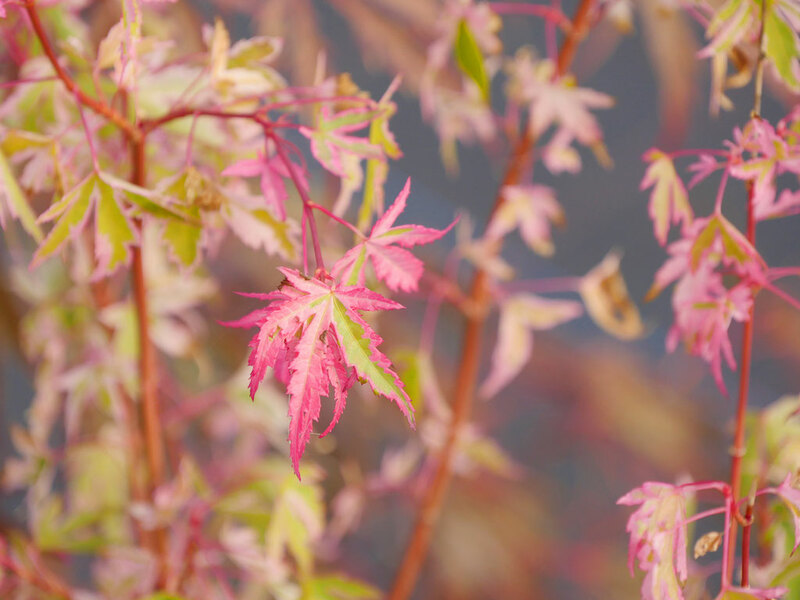 A unique and spectacular foliage display throughout the growing season. 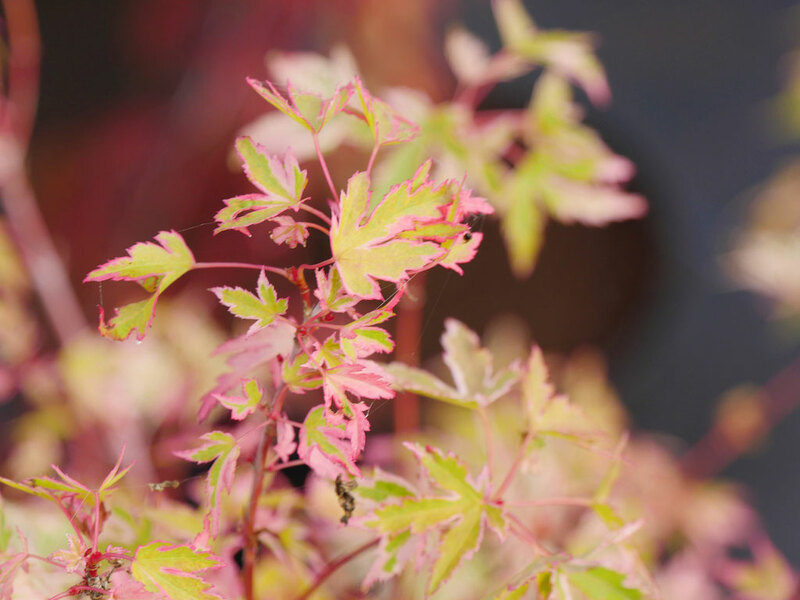 The spring leaves are a very bright pink-red with occasional small blotches of dark and light green, gradually becoming light pink and faintly tinged light green by mid June. The green becomes darker as the summer progresses. In midsummer, there is a second flush of bright pink, continuing the eye catching colour display all summer. 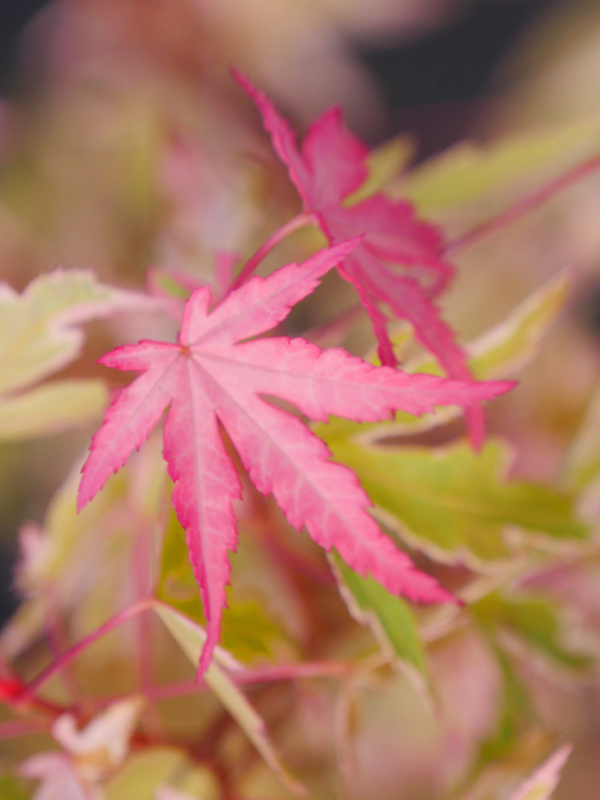 In the fall, the colour reverts again to the very bright pink-red. 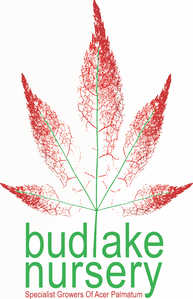 the small five lobed leaves are deeply divided almost to the leaf base. Each narrow lobe is almost traplike, long oblong ovate with a tail like tip. 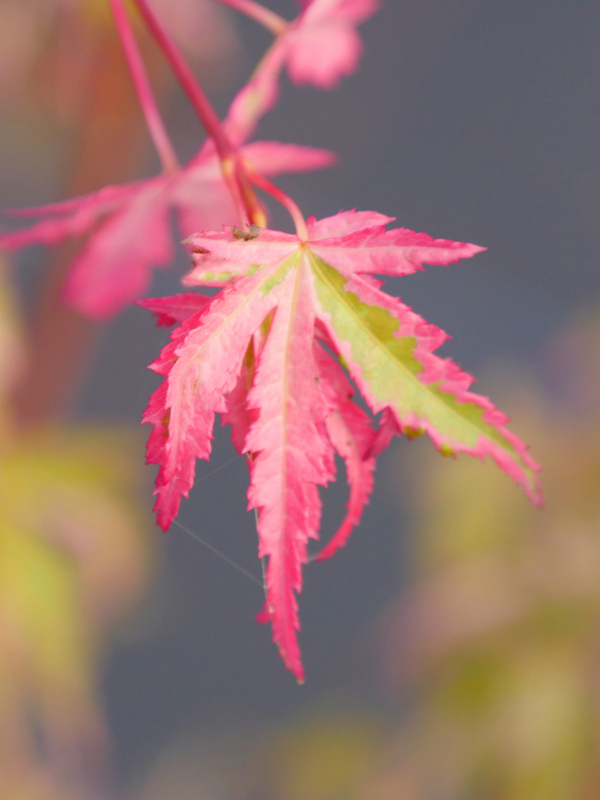 The bright red leaf stalks are short and slender.